When the two grown daughters of Elizabeth Marshall discover an old diary of their mother’s in her attic, it comes as a shock to learn that the true love of Elizabeth’s life was not their father. This is the mystery the two daughters must unravel as they stay up late reading the words penned by Elizabeth so long ago. Their mother can’t give them the answers: After a massive stroke, she lies mute and near death in a nursing home. Only the pages of her diary can provide clues to what really happened. In a richly detailed journey into the past, we see Elizabeth lose her heart to one man while remaining devoted to another. Finally, she must choose between the stable, loyal Bob…and the electrifying and unpredictable A.J., who spent time in juvenile detention as a teen. When a suspicious fire in the neighborhood is linked to A.J., Elizabeth is faced with another dilemma: She’s the only one who can clear A.J.’s name, but to do so would ruin her reputation. Surprisingly, it’s Bob who comes to the rescue, forcing Elizabeth to make perhaps the most painful decision of her life…. The Diary is a love story. It’s also the story of the unshakable bond between a mother and her daughters. Eileen Goudge is the New York Times bestselling author whose novels include Domestic Affairs, Woman in Red, One Last Dance, Garden of Lies, and Thorns of Truth. There are more than three million copies of her books in print worldwide. She lives with her husband, entertainment reporter Sandy Kenyon, in New York City. What would you say the theme of The Diary is? How does this theme relate to you, as a woman, a daughter and a mother? In The Diary, after they discover their mother’s diary, Sarah and Emily begin to regard their mother as more than “the woman who baked the bread.” Have you reached this point in your life? If so, what prompted the transformation in your thinking? How does being able to regard your mother as a woman change the way you interact with her? Did The Diary inspire you to reach out to your mother as a woman? Do you keep a diary or a journal? If so, why and what function does writing on the pages serve in your life? How would you feel if one day your children read your diary? Would you consider it an invasion of your privacy? Elizabeth learned, at least in her world of 1951, that her mother was right when she warned her: “Reputation is everything.” How do you think this story would have evolved in today’s world? Why do you think the author chose 1951 as the time period for Elizabeth’s story in this novel? 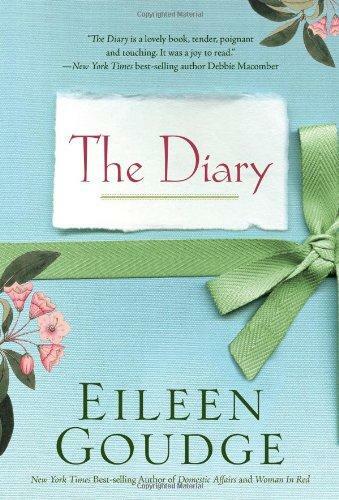 Elizabeth’s diary reveals that she was in love with another man before she married Sarah and Emily’s dad. Do you agree with Sarah’s comment that every wife fantasizes at some point about what it would be like to be married to someone else? Sarah and Emily wonder what example it sets when a mother marries for security rather than love. Are her children more likely to make the same choice? What example do you want to set for your children about whom they should marry?